Starling House is home to some of Britain’s deadliest teenagers, still too young for prison. 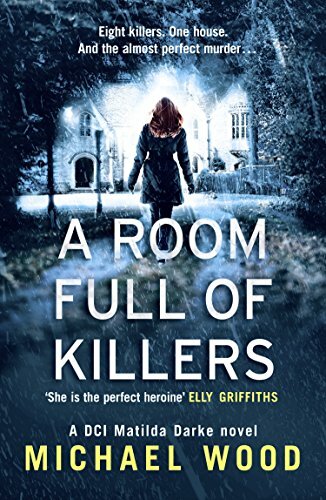 When the latest arrival is found brutally murdered, DCI Matilda Darke and her team investigate, and discover a prison manager falling apart and a sabotaged security system. Neither the staff nor the inmates can be trusted. Starling House is a secure unit for young offenders, not your average everyday offender, Killers. When a new inmate arrives he is murdered within 2 days, a few days later another inmate is murdered. DCI Matilda Darke has the job of finding out who did it. Not only does she have to solve the mystery but she also has a feeling that one of the inmates is innocent and goes off piste to try to prove his innocence or not. The story is interspersed with the stories of the inmates and their crimes. I loved these chapters, thought they were fantastically well written and gave the book another dimension, something different. The story reminded me of an updated version of the old fashioned Whodunits that would have been on a Sunday early evening when I was a child, which is a good thing. Oh and I loved the very ending of the book really wasnt expecting it and what a fantastic way to end a fantastic book.